Happy Friday, music nerds! 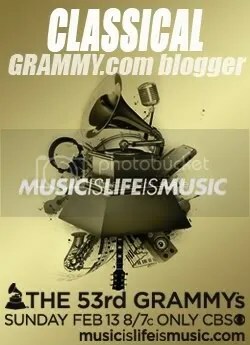 I’m pleased to announce that my first grammy.com post is up! Click to sample some GRAMMY Classical Delights! On the home front, tonight McDoc and I will be attending a performance by Cantata Singers, who continue their Ralph Vaughan Williams-centered season. The program includes a semi-staged performance of Vaughan Williams’ one-act music drama Riders to the Sea, as well as works by Edward Elgar, Gerald Finzi and Gustav Holst. Tickets will be available at the door, so if you’re in the Boston area and looking for something classy to do tonight, tell ’em Miss Music Nerd sent you! No matter where you are, you can enjoy my latest find in the ever-popular Theremin category, which is dear to my heart, as many of you know. Click here to watch a character on the CBS sitcom The Big Bang Theory expand the Theremin’s repertoire! (Tip: advance the video to around 14:30; the show will play after a commercial.) It’s already a very nerdy show, but it gets a tip of the nerd glasses for bringing nerdy music into the equation, too! Less widely known is Liszt’s extensive catalog of songs for voice with piano accompaniment. But that will change if countertenor Yakov Zamir has anything to say about it. Zamir has embarked on a project of performing and recording Liszt’s songs with Janice Weber, critically acclaimed pianist and Liszt specialist. Zamir and Weber are performing this evening in Boston, along with fellow Liszt enthusiasts, sopranos Farah Darliette Lewis and Meena Malik, and pianists Artem Belgurov and Rachel Hassinger. Miss Music Nerd asked him for the scoop, and he was gracious enough to answer a few questions. MMN: Your voice type is countertenor, but your voice quality is different from the non-vibrato, baroque sound typically associated with that. How would you describe your voice? YZ: I’m classified as a countertenor because that is the range I sing in. It describes a male voice in the contralto range, that is, topping out a fourth or fifth higher than a tenor. I sing with vibrato just about all the time – that is the natural voice production when you want to fill a large space and carry over an orchestra. Lots of countertenors sing with vibrato now, so my voice is not unique in that way. But my voice is an expression of my soul, my personality, and since I am unique, my voice is also unique! 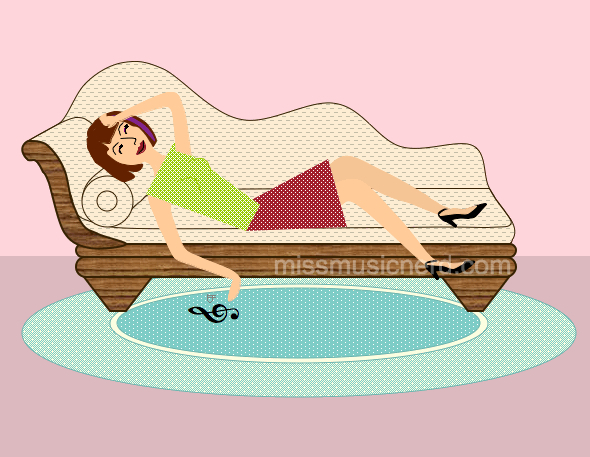 MMN: How did you become interested in the vocal music of Franz Liszt? YZ: I discovered it while living in Israel, around twenty years ago. In a music library, whilst collecting songs by various composers, I happened upon his Tre Sonetti di Petrarca. I liked them so much that I sang them on a 6-city recital tour I made of India, in 1992, and then sang them also in London and in Tel-Aviv and elsewhere in Israel. I wanted to sing lots of Schumann during the bicentennial of his birth, in 2010, and then I realized that 2011 is Liszt’s bicentennial year. I made a plan of collecting and transposing Liszt songs, and once I found that the first versions of a number of his early songs were beautiful and rarely performed, I knew I had the kind of rep I would want to learn and perform. Since then I have been selecting groups of his songs that particularly appeal to me, and those have included settings of poems by Italian, French and German poets. MMN: The songs you sing have been transposed to fit your higher range. Have you had any complaints from your piano accompanist, Janice Weber? YZ: Janice is a veteran Lisztian, having played and recorded some of this composer’s most technically difficult solo piano works. She has had no problems with playing the transpositions of these songs… in fact, they fit very nicely on the piano in those keys. MMN: Anything else you think my readers should know? YZ: Your readers should know that Liszt was virtually forgotten as a composer soon after his passing, and that his compositions are not highly regarded by most of the music critics and music professors that I have encountered. The Bs (Bach, Beethoven, Brahms, Bruckner) are considered the top of the food chain, and Liszt is depicted a musical scavenger, a showman, an imitator and popularist, not a serious composer… or so they say. I’ve been reading Alan Walker’s three-volume biography of Liszt and listening to whatever recorded tracks I can find, and respectfully, I disagree with the academicians. At this point I would say I enjoy singing Liszt songs at least as much as Schumann and Schubert — and that is a big surprise to me. One more thing: tonight’s concert will feature settings of poems by Victor Hugo, a personal friend and close associate of Liszt when he was living in Paris. As readers may know, Hugo was the author of “Les Miserables”, inspiration for the Andrew Lloyd-Webber musical theatre blockbuster. MMN: I’m looking forward to hearing tonight’s performance! Happy New Year, music nerds! Can you believe we’re a week into 2011 already? I must confess, Miss Music Nerd has been a bit of a basket case for the past month or so. The holiday season can be a very hectic time for any musician, but if you’re a church musician – well, to say it’s a working holiday is a massive understatement! In addition to that, McDoc and I moved to a new apartment just before Thanksgiving (yes, we’re crazy, we know), and moving, even locally, is always a travail. And finally, McDoc has been arranging for a lot of business travel in the coming months, to prepare for that fast-approaching day when his time as a resident comes to a close, and he has to have his next step all queued up. Oh, and then there’s the GRAMMYS®! I will once again serve as the community blogger for the Classical Field – look for my first official post very soon! At times like this, I find it’s really easy to get overwrought, to lose perspective, to view the work that I love as a chore, simply because I feel so frustrated about not being able to keep up. Fortunately, the universe eventually arranges to remind me what it’s all about. Believe it or not, I actually have a hard time getting myself to just sit down and listen to music, without doing anything else. I tend to be so busy doing other music-related things – practicing, planning, reading and writing about music – that the thing itself gets lost in the shuffle. The other day, McDoc had put on a CD of opera duets, the kind of greatest hits compilation that hard-core music snobs might sniff at. I had been to-ing and fro-ing in my usual frantic way, and I decided, for once, to take a break, lay on the sofa, and just listen. The next track to come up was “Viens, Mallika,” the so-called Flower Duet from Léo Delibes‘ opera Lakmé. It’s so well-known, you’ll probably recognize it even if you’ve never heard of Delibes or his opera. The piece has been used in commercials for chocolates and airlines, for crying out loud! The music is so familiar, in fact, that it’s easy to forget how beautiful it really is. Laying there on the sofa listening to this, I was able to reconnect a bit with why I love music in the first place. When I slow down and give myself a chance to really feel the music in my bones, I’m transported – yet at the same time, I feel completely and effortlessly rooted. Everything is in balance, and all is right with the world, at least for a few moments at a time. It’s comforting to know that a respite from my obsessive tendency to worry and obsess and overthink everything is always a available to me, if only I’ll reach out for it. I’m just lucky I have McDoc to act as DJ when I’m too frazzled to do it myself!